Craig Iskowitz is CEO and founder of Ezra Group, LLC, located in East Brunswick, NJ. Ezra Group is a management consulting firm providing advice to the financial services industry on business and technology strategy, software development, and marketing. Craig has over 20 years of experience in wealth management, retail and institutional brokerage, market data and front and middle office operations. 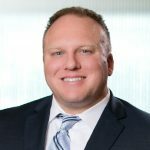 He previously worked for ADP Brokerage Services (now Broadridge Financial) for almost 10 years before becoming a consultant. His clients include many Fortune 500 firms such as The Bank of New York, Fiserv, Standard & Poor’s, and J.P. Morgan Chase. Craig is also the editor and publisher of the Wealth Management Today blog (www.wmtoday.com), which focuses on news and information for the wealth management industry with focus on fee-based advisory platforms. 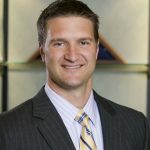 Craig is also available to speak on wealth management trends, participate in industry panels, or present one of his industry classes such as, Managed Accounts 101. Wealthfront Is No Charles Schwab, Yet!